You can't eat from the dollar menu & have a million dollar body! Ever hear that? But I surely know that buying fresh, healthy foods isn't always easy on your wallet! Consider the long-term effects of how you are fueling your body. Consider the medical bills you could potentially AVOID by eating healthy, avoiding obesity, avoiding high blood pressure & high cholesterol. Sounds like a huge savings to me. But for the immediate money saving, here are a few tips I abide by to get the biggest bang for my buck in the grocery store. *Before making your weekly meal plan, refer to your grocery store sales fliers for the week & see which meats, fish, & produce are on sale. 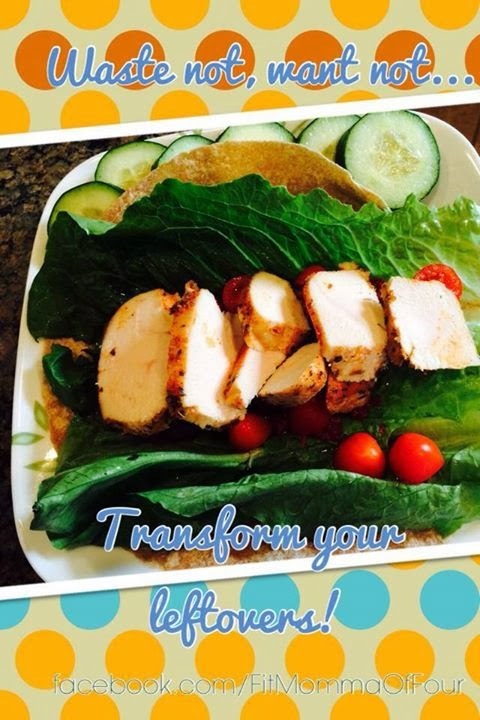 Incorporate those items into your weekly menu. *Plan to eat & buy produce that is in season in your area. Not only will it be fresh & locally grown, it will cost less because it is in season & abundant. *Make your meal plan before going shopping & use your meal plan as a shopping list. Only buy those items needed for your weekly meals & snack. *Don't go to the grocery store hungry. This will make you more likely to go off-list & over budget. *Eat less meat. Depend on less costly forms of protein like eggs, legumes, & beans. *Keep your left-overs & eat them for another meal! In the picture above I used leftover chicken to make a wrap for lunch. Yum! *When making items like soup, stew or chili make a large batch & freeze extras for future meals. *Look for sales expensive items (like boneless skinless chicken breasts) & buy several packages. Break them down into family size portions & freeze for future use! *Eat in more often. My family wanted pizza the other night. To order take out it would've been over $20. I made HEALTHIER pizzas for the entire family for about $10! *Skip dessert! Your waistline & pocketbook will thank you. Have a cup of green tea to stave off that after dinner craving. 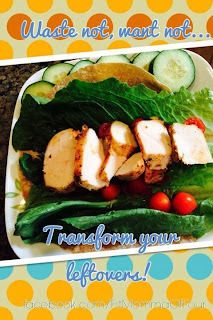 For some family-pleasing clean eating click here!